Standard - $9.99 Only 3 left! Are you ready to ROCK!? We thought so. We don't care what crowd you're in either. It could be metal, classic, hard, punk, anything that gets you pumped and gets you on your feet yelling and screaming for more! That's what rock concerts are all about, right? That and the sweet outfits that come along with it! 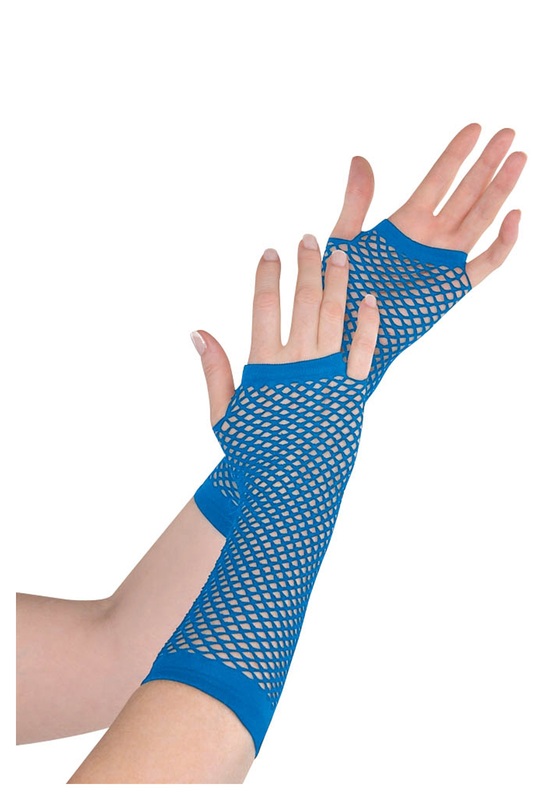 That's why we're hooking you up with these sweet retro 80s Blue Fishnet Long Gloves. We're not sure if your grandparents wore them but we know you or your parents did and we are here to let you know that they are definitely still in. We've got some sick varieties of colors here and the ones you're looking at are the cream of the crop solid blue ones. Now grab a pair of Chucks, some black leather and muss that hair up a bit. It's time to ROCK!